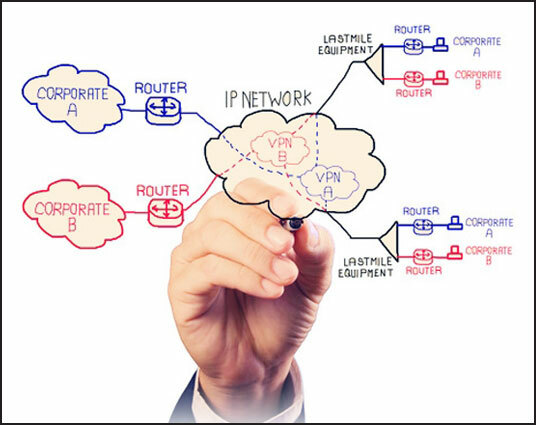 An IP, Virtual Private Network (VPN) offers a secure, reliable and resilient means of connecting your business. Our Virtual Private Network solution is MPLS (multi protocol label switching) based, providing your business with cost effective, manageable and flexible connectivity. MPLS based networks can deliver quality of service over the core network so that applications and data can be prioritised according to the importance within the business. MJL will take time to fully understand the scope and usage of your wide area network, your current and future demands for voice, web conferencing and email, to make sure we deploy the most cost effective network for maximum operational IT efficiency. Our range of connectivity services incorporates ADSL, bonded broadband services as well as Ethernet, and Leased Lines, with a choice of bandwidth from 512 Kbps to 100MB. We offer five classes of services with each class covering different levels of service priority. Traffic prioritization for example, allows you to deploy VoIP, video conferencing and other demanding applications over the IP Virtual Private Network.